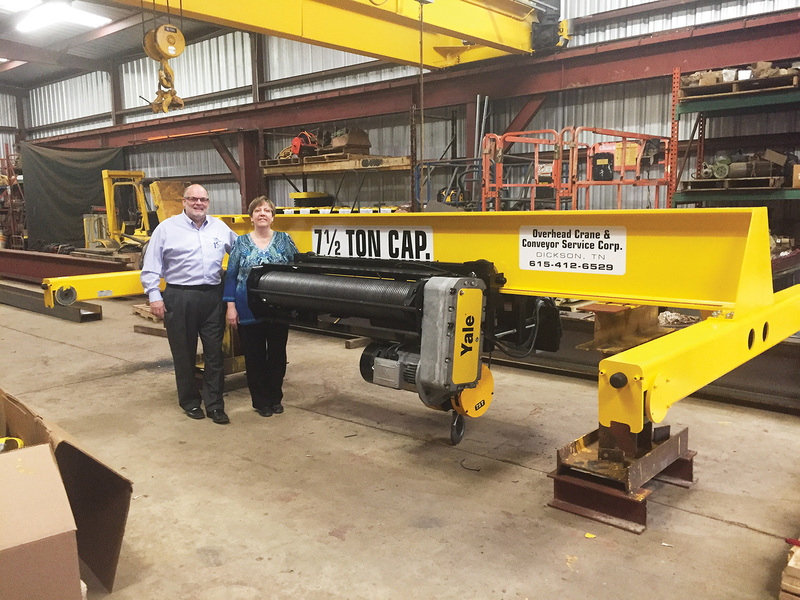 Overhead Crane & Conveyor Service Corp was recently sold to new owners, Terrence & Carol Moore. They are proud to continue the heritage of what previous owners, Bill & Dixie Riddle created over 28 years ago. Today, we work with customers to design and manufacture custom cranes which often incorporate custom runway and bridge girder designs. Our services also include maintenance, inspections and in-house training of your crane operators, so that your operations can run safely and efficiently. Our capabilities allow us to accommodate the needs of a diverse range of industries including single 1/2 ton hoists to 50 ton box girder cranes. Offering a complete turnkey solution with varying capacities across an entire facility are what we do best. We can also provide your company with jib and davit crane systems. Our industry focus is broad; if a customer is in need of an overhead gantry crane, we apply our unique combination of experience, design, expertise and comprehensive understanding of the entire crane system to deliver a crane that meets your exact requirements. Our engineering resources can assist and work with your team’s specifications to produce the type of crane design you require. In the private sector, we have worked with various manufacturers, including metal building manufacturers, plastics injection molders, stampers, fabricators of large components and concrete facilities. For government and defense industry clients, we have provided our services for applications that include general aircraft, helicopter and fighter jet maintenance hangers, pump stations, sludge plants, motor pools and much more. In fact, OCCS has provided hundreds of cranes for the water industry including both waste water and water purification projects for the setting and pulling of pumps for maintenance. These applications include crane sizes that range from 2 ton under and top running single girder cranes to 35 ton top running single and double running or box girder cranes. We are also a military-friendly company and support a variety of missions within the Army, Army National Guard, Air National Guard, Corps of Engineers, Air Force and NASA. Please contact us today to learn more as we look forward to continuing the legacy.